Yesterday the founding members of the Interim Board of Suffolk Libraries IPS appointed Alison Wheeler as their new General Manager following a selection process restricted to current Suffolk Libraries staff. Alison is currently Head of Service Development for information, advice and library services in the Adult and Community Services directorate at Suffolk County Council. A Chartered Librarian, she previously worked for Suffolk libraries for over 28 years in a variety of different roles. Alison ran the East Midlands Library System from 1997 to 2001, and also set up a regional agency for libraries in the East of England. She has been a principal architect of this new approach to delivering public library services, working with politicians and professional colleagues over the past year to design the model for the future. 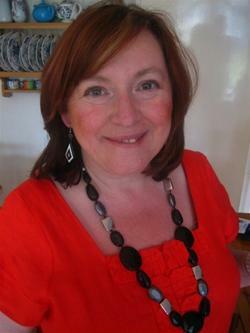 "The founder members are delighted to welcome Alison to this new and challenging role. She will be able to start working with the Board on detailed start-up plans very soon, and her knowledge and skills are needed for the many key tasks we have to tackle. Those include establishing the future professional team, building the partnerships with local communities, and ensuring that libraries continue to provide their current first class service to the public." Alison's appointment follows earlier news of the departure from Suffolk County Council of senior staff member Guenever Pachent Service Director for Culture Information Inclusion & Learning. Following this news Alison's appointment was widely expected. Without commenting on Alison personally it does seem that so many of the decisions surrounding the IPS will have been made before it is up and running that it is unclear what scope the regular board members will have to shape the service. The IPS has been billed as a way to allow communities to take decisions about the library service but decisions all seem to be being made by and in the image of Suffolk County Council. The IPS is now headed by a Chairman and General Manager that both played a leading role during the very difficult library consultation period and supported the County Council's position. The IPS I believe needs to develop some real independence from the County Council and I hope that in selecting the next interim Directors there will be more diversity of opinion and independence of action from the IPS.